When it comes time to decorate your home, choosing a design style can be a challenge. Should you paint your walls or use wallpaper? What style furniture should you use? Which type of wall art suits you the best? There are many questions that need answered when you begin your decorating project that will help you choose the best design style for your home. So how do you decide which style to use? Start by determining what you like personality and it will help you discover which one will suit you the best. The first thing you need to do when looking for a design style for your home is to make a list of the things you like. For example, do you have lots of sentimental items that you want to display throughout your home? Do you prefer neutral or bold colors? Which do you like best, traditional wood furniture or modern designs with curved lines made from metal, glass or plastic? Answering these questions will help you get started choosing the best style for your interior design. Once you have an idea of what you want, our expert interior decorators can help you find the best style for your home. We can even help you combine different styles to create a unique and interesting design that matches your personality perfectly. Now it’s time to learn more about the different options available. Many times people tend to decorate their homes with the same style they were around when growing up. However, you may find one that suits your personal taste better when you review all of your options. Modern– A simple design with a mid-century look and feel. Use furnishings made from metal, stainless steel, plastic and wood along with geometric shapes to create a modern look. Country– A relaxed and comfortable style with floral fabrics, embroidered rugs and fresh flowers. It also includes dark-stained furniture, china cabinets and landscape paintings. American Colonial– Includes lots of wood furnishings, wide molding, wood mantels and corner cupboards along with hardwood floors, iron and brass fixtures and braided rugs. Chinese– Includes furniture with clean straight lines, oriental vases, shoji screen dividers and paper lanterns along with lots of red and gold accents. South Western– Open floor plans with earth tone colors and Native American accents. Furniture with decorative carvings, murals and large pillows are also part of this style. Gothic– Includes large interiors with dark colored walls, floors, ceilings and furniture. Accessories include pillows, crosses, statues of gargoyles and medieval tapestries along with red, gold, white and purple accessories to add contrast. Victorian– Elaborate furniture and accessories that include oriental rugs, stained glass, china, framed paintings and all types of collectibles. Decorate with warm colors like yellow, gold and blue along with complex patterns and vintage fabrics. Rustic– This design highlights nature with stone or hardwood floors, wood beams and columns along with wood furniture and earthly colors. Contemporary– Incorporates clean lines and neutral colors such as brown, cream, white and taupe. Furniture is a combination of wood, metal and glass and fabrics include cotton, wool, silk and linen. Traditional– Includes elegant furniture made from dark woods such as mahogany, cherry and maple with detailed designs along with colorful artwork and antiques placed symmetrically within the room. These ten design style options are very popular. However, if none of these suits your particular needs there are more available. Give us a call here at J. 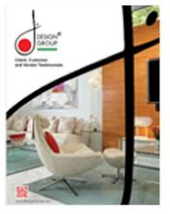 Design Group to learn more about all of your design style options.